Sorry... the 2017 BMW 430 is no longer being sold as new. 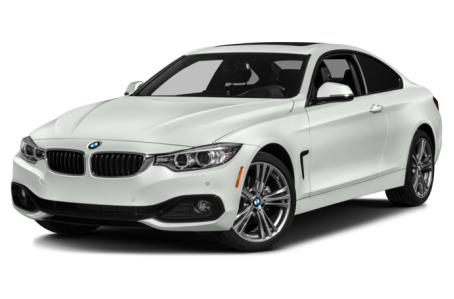 Instead, take the first step to a great deal on 2019 BMW 430 with a free price quote! The 2017 BMW 430 is an all-new, 2-door variant of the 4 Series luxury coupe. It comes as a coupe or a convertible. The 430 replaces the discontinued 428, signifying a slight boost in performance over last year. It competes with the Mercedes-Benz C-Class, Audi A5, and Lexus GS 350. The 5-door Gran Coupe version of the 430 will be covered in a separate overview. Two trims are available: the base 430i model and 430i xDrive. The 430 has an athletic appearance with its blade-shaped headlights, dual kidney grille, and low stance. The differences between the 2-door Coupe and 5-door Gran Coupe in terms of profile-shapes are very subtle – the dead giveaway being the door count. Both the 2-door and 5-door models have air vents at their front fenders. Both rear-ends are cropped shorter than the 3 Series’ tail. Standard features include Xenon adaptive headlights, LED daytime running lights, front fog lights, power/heated side mirrors, a power liftgate, and 18-inch alloy wheels. Adaptive LED headlights and larger 19-inch alloy wheels are available as well. Under the hood, the 430 is powered by a standard 248-hp, turbocharged 2.0-liter 4-cylinder engine mated to an 8-speed automatic or 6-speed manual transmission. Rear-wheel drive comes standard while all-wheel drive is available. Fuel economy ratings for the RWD are an EPA-estimated 23/34 mpg city highway (8A) and 21/33 mpg (6M). The rating slightly improves to a 23/33 mpg for the AWD models. Inside, the 430 has a premium leatherette/wood trim interior with a 40/20/40 split-folding rear seat. The center stack features a standard multimedia system that includes a 6.5-inch display, Bluetooth connectivity for phone and audio, and a USB port. It can be upgraded with an integrated navigation system, Apple CarPlay compatibility, a wireless phone charging system, a Wi-Fi hotspot (subscription required), and a Harman Kardon premium audio system. Dual-zone automatic climate control, remote keyless entry, push-button start, power tilt/telescoping steering wheel, and a power moonroof come standard. Optional features include leather upholstery with contrast stitching, heated front seats, and heated rear seats. Standard safety features include an advanced air bag system, anti-lock brakes, an electronic stability control system, and a tire pressure monitoring system. Available features include a backup camera, top and side view cameras, adaptive cruise control, park assist, lane departure warning, front collision warning, pedestrian detection, a blindspot monitoring system, M Sport Brakes, and adaptive M suspension.